The buzz about cryptocurrency is increasing, people have heard about it, and more and more people want to find more about it, and find a way to be a part of it. When blockchain technology came, so many things changed, for better, we say. So many businesses have improved, so many companies have started using crypto currencies in their work. The new ideas are coming every day. People want to invest in the new projects. We have the biggest tool in the world, and it is called the Internet. The internet is a enormous base of information where we can do anything. Internet has connected the entire world. One of these projects is Zealeum, whose main goal is to monetize and incentivize data and healthy living through the Zealeum Token. 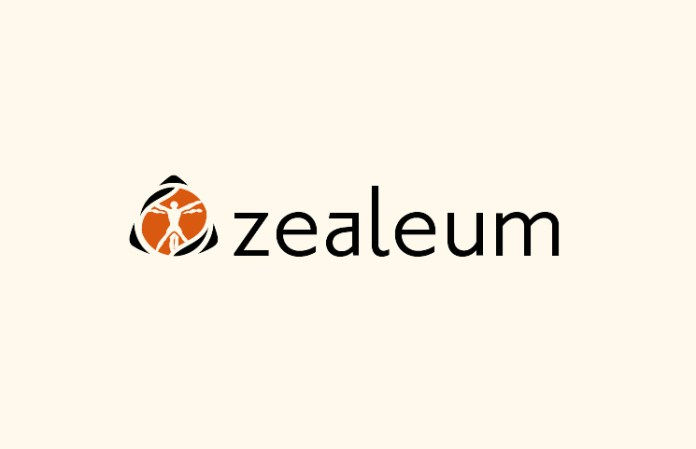 Zealeum community ecosystem fueled by user-generated & controlled health and wellness data will enable the exchange of value and data through the introduction of Zealeum Tokens (ZEAL), which are ERC20 tokens on the Ethereum blockchain. The Zealeum platform connects individuals, businesses and service providers together to improve global health & wellness across all aspects of the industry. One of the key value propositions of the Zealeum platform is the Zealeum Health Profile. The user’s Health Profile will contain a user’s entire medical history which includes, but is not limited to Surgical History, Family History, Medication, Medical encounters, Immunization History, Medical Allergies, Test Results, Orders and Prescriptions. Zealeum’s main goal is to monetize and incentivize data and healthy living through the Zealeum Token. Users will be able to earn token rewards for healthy lifestyle choices. They can earn Zeal Tokens by visiting health and wellness centers in their region. The wallet functions as a gateway to the ecosystem and allows its users to create their own personal profile, input and track their health and wellness data and connect it to their favourite fitness and health tracking apps. The objective of Zealeum health profile is to solve the problem of medical records which cannot be easily transferred across different institutions. Zealeum Health Profiles are transferable, secure, reliable, transparent, and easily accessible given permission. Those tracking health-related data to monitor chronic illnesses. Those tracking their fitness and wellness goals. Those documenting and planning meals. Those interested in taking control of their healthcare. Fitness trainers wishing to offer specialized packages to individuals based on their fitness and wellness profile. Insurance companies ofering insurance products to customers based on their medical records and health profile. At the heart of the Zealeum platform will be stored health data generated and controlled by the user. Following the approval of individuals, this information will be analyzed, aggregated and carefully packaged to Big Data buyers to fund new developments and initiatives on the platform. The Zealeum Platform includes a marketplace which allows users to spend tokens they’ve earned or previously purchased in order to receive healthy lifestyle goods and services. The marketplace will contain the very best beauty and ftness products, health & wellness services, health food and supplement providers, dieticians, yoga instructors, organic restaurants, gyms, nutrition, etc. The Zealeum Wallet will be implemented in multiple steps. In order to bring the product to the market as soon as possible, Zeal tokens will function as a utility token granting access and certain privileges on the Zealeum platform. The wallet allows users to store their tokens securely as well as grant them access to buy services and products offered on the platform by professionals. The Zealeum team is aware that security is a key necessity for its users sharing their healthy lifestyle data. Zealeum is committed to ensure the highest-level security measures mirroring the latest developments in cyber-security best practices. It is said that blockchain has the ability to drastically improve the global wellness industry in the following ways: improving data security, data sharing, interoperability, patient engagement, big data analytics, health information exchange, fghting counterfeit drugs, R&D diagnostics, AI-based diagnostics, and more. It has also been predicted that within five years, blockchain-based healthcare systems will be the new norm for the sector. Zealeum wallet and Ethereum blockchain allow for an incentivized, rewards-based ecosystem which serves to “gamify” everyday aspects of people’s lives. Zealeum’s main goal is to monetize and incentivize data and healthy living through the Zealeum Token. On top of the rewards mechanisms, data generated by and manually input by customers will automatically be securely stored through industry standard encryption methods and can only be accessed through the use of smart contracts enabled by the Zealeum platform. The personal data submitted via Zealeum health & wellness wallet will be accessible to its user and can be viewed or shared by “storing a permission” on the blockchain which complies with data privacy laws making it a powerful service for data-driven companies which will not have to develop their own system including user’s consent for their data usage. Users register and create a health profile where they can store, view, share and sell their data. Users have the ability to connect their profiles to their favourite fitness & health tracking apps and wearables, allowing them to track data from a wide variety of sources and aggregate and analyze data within a user-friendly interface. Users set their own privacy rights and choose exactly which information they would allow to be shared or sold. The generated data is transferable, secure, and tamper-resistant. Zealeum’s health profiles allow professionals such as nutritionists and fitness trainers to create personalized nutrition and workout plans based on the information shared with them from each specific user, allowing them to create custom-tailored solutions. Users earn ZEAL Tokens by making healthy lifestyle choices. For example, users can earn ZEAL Tokens by purchasing online products on the Zealeum platform, by purchasing personalized meal or workout plans provided by professionals, for participating in a marathon, for visiting a fitness center or a vegan restaurant, and much more. Individuals on the platform can also receive ZEAL tokens for simply showing up to a designated location or participating in a specific fitness event sponsored by a Zealeum partner. 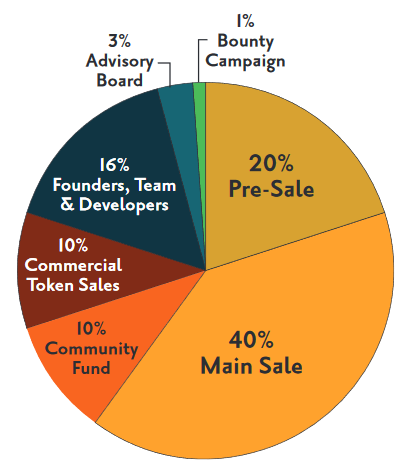 Zealeum ecosystem participants can also use the ZEAL Tokens as a form of payment to purchase a wide variety of products and services from the businesses and service providers within the community ecosystem. The Zealeum Platform creates, stores and constantly updates every users’ digital profile which will include metadata and data that paints a full picture of who each user is in terms of their identity, their health and their fitness profile. Through the token, users on the platform can package and sell their data to companies or fitness professionals interested in viewing or leveraging that data. Users will not have their data available on the Zealeum marketplace unless they check boxes indicating they would like to receive ZEAL in exchange for their information. Users are alerted with a request for data whenever there is interest from a professional or information broker. Zealeum’s health profile is a very valuable asset in the growing Internet of things which can help to solve several issues with the lethargic health industry; a transferable, secure, tamper-resistant health profile with data that can be seamlessly shared through a distributed ledger with doctors, insurance companies, nutritionists, and more. In addition to data sharing in the form of patient records, potential exists for blockchain technology to positively impact patient-reported outcomes (PROs). Join the health & wellness revolution! The Zealeum Token’s initital token offering will support the continued development and expansion of the Zealeum Platform and its many protocols and functionalities. A total of 1,000,000,000 (1 billion) ZEAL will be pre-mined during the initial token generation event. Of the 1,000,000,000 ZEAL in circulation, 600,000,000 will be made immediately available to the public through the pre-sale and initial token offering periods.